“I’m a historian and I like all topics that concern Estonia,” says Liisi Eglit (26) when asked to introduce herself. It’s yet another one of those very typical Silicon Valley social events: people are discussing technological breakthroughs that could bring us a brighter future. While the audience freezes for a moment in an obviously unexpected surprise, Liisi continues: “My biggest secret is that I’m ACTUALLY a historian!”. The tension is suddenly wiped off and everyone starts laughing. Liisi, whose profession is to search the past, mingles freely with the people who worry about the future. 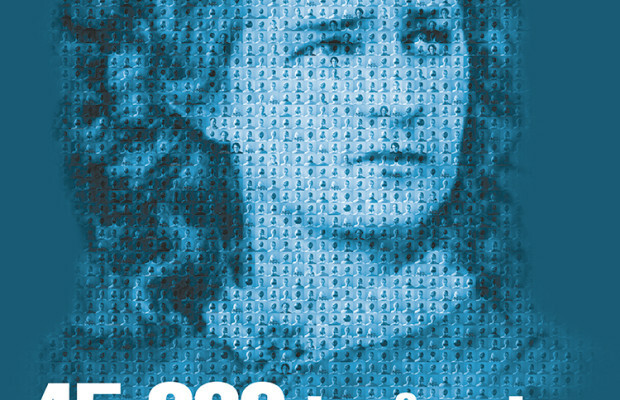 Liisi did not exaggerate about her interest in Estonian topics. Between occasions as varied as European start-ups introducing their world-changing ideas at Stanford Engineering School, a reception for Estonian Cyber Defence specialists at a Palo Alto dinery or Estonian Christmas Fair in Sunnyvale, Liisi would be there. And not only taking part, she would be in charge of organizing some of the events. Because it’s her job and her passion to introduce Estonian culture and histrory to Americans and people all over the world. Liisi Eglit has been working as an assistant curator for Estonian and Baltic Studies at Stanford University Libraries for more than a year now. Although a stereoptypical image of a librarian would depict them in a setting of the solitude of endless bookshelves, Liisi’s work is much more visible. Last June she was running a conference at Stanford in affiliation with ESTO-Days to introduce the possibilities of using archives, libraries and museums outside of Estonia for research. In November an Estonian cultural evening was held also at Stanford, showing documentaries about the Song Festival and Estonian refugees. Liisi was on stage and she seemed confident as it was apparent that she knows what she’s talking about to the smallest detail. “Liisi was obtaining her PhD in Estonian history, she had the experience of working with archives and she had a clear vision how to build a collection,” Michael Keller, Stanford University Librarian and Director of Academic Information Resources, sums up the reasons why Liisi was selected from a number of candidates two years ago. “Now she is our “face” and forerunner of the Baltic topics.” This is both a big honour and a tough job to keep up with. Three years ago Stanford invited qualified people to apply for the position of Assistant Curator for Estonian and Baltic Studies but could not find any suitable people locally. Another application round was held in Estonia and many strong candidates appeared, three best of whom were flown to Stanford for interviews. Liisi nailed the position. “She was the easiest to have a conversation with,” explains Sylvia Thompson, daughter of Olga Kistler-Ritso. Sylvia is currently running the Foundation her mother set up years ago. Sylvia and Liisi still meet occasionally to discuss the matters of the foundation. Kistler-Ritso Foundation is the reason and power behind bringing both the Baltic Collections to Stanford and Liisi to curate it. Olga Kistler-Ritso was an Estonian refugee of the World War II and had later practiced as a doctor in the United States. After Estonia regained its independence in 1991 she spoke to many Estonians both in Estonia and abroad to help her to set up a philantrophic foundation. Along with Tunne and Mari-Ann Kelam, President Lennart Meri was instrumental in encouraging to focus her philanthropy on building a museum that could help memorize the past occupations – both German and Soviet – that had rampaged Estonia over the past century. The location for the building was secured and the collection of documents and objects begun in 1999. The architectural competition was announced a year later and the museum opened in July 2003. Annual visitors to the Museum is roughly between 25,000 and 30,000 but one can also visit the museum’s website. Keller adds that young people in Estonia or people visiting the country might otherwise not even know what an amazing socio-political recovery the country went through in less than 20 years. “Estonia is a roaring sucess story!” exclaims Keller, who has been to Estonia several times over the past few years and plans to return this coming summer to attend the Song Festival with his family. 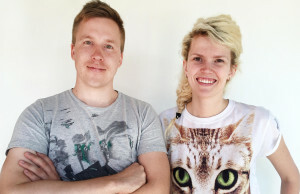 “Estonian people are hard working, honest and smart. They have a canny understanding of what goes on and how,” adds Sylvia Thompson who has always been very proud of her Estonian heritage. She first went to visit the country in 1976 and had to admit that it was just as beautiful as her mother had described it to her. Unlike what she expected she found there were quite a few cars in Tallinn and there was even soap sold at the stores. “A couple of things in Estonia were better than we thought they would be,” a 14-year-old Sylvia wrote in her diary at the time. The second time her family went to Estonia was already after the re-independence and this was when her mother started thinking about creating the foundation. Liisi, who was born at the end of the Soviet-era, when the perestroika and glasnost movements had already considerably loosened the regime, is now in charge of setting up this vast memory collection on the other side of the world. Liisi’s work is not just about making presentations and attending conferences. Most of the time she actually works in the silent solitude of the long bookshelves. Her office is at Green Library, a fancy pseudo Colonial style building right next to the Stanford Main Quad which is always surrounded by lush green grass. In the periodicals hall one can read the latest issues of “Sirp” or “Akadeemia”, Estonian weekly and monthly culture periodicals. Those who are more interested in Estonian history can read “When the Noise Had Ended”, a collection of memoirs of World War II refugees, or other books in the 20,000-volume collection covering the recent history of the Baltic States. All of the materials at Stanford are accessible to registered users, just the more sensitive KGB-files stored at Hoover Insititute can only be accessed by attested researchers. Baltic collection is just a tiny subcollection in the vast collections of Stanford University Libraries. The Stanford University Libraries include Green Library (the main campus library), Meyer Library (technology services & study spaces), 14 specialized branch and department libraries, and 3 auxiliary libraries housing less-used or overflow materials. Five coordinate libraries, connected to graduate schools and other organizations, have their own websites and policies. Whether to create a new collection is always a kind of a chicken and an egg question for the libraries: which comes first – a collection that would attract researchers or academic interest that would spur the birth of a bigger collection? “A small collection can be very valuable, consisting of material that is not available anywhere else – if it has rare books, manuscripts etc,” explains Liisi. “In my view, the most attractive collection for historians is the one that consists of both archival sources and published material supporting the research of those sources. There are definitely wider trends in the academic world – growing interest towards certain areas or history periods, e.g. in 2014 everyone who is anyone is doing something regarding World War I but I guess there isn’t much you can do without an established collection supporting your research.” To put it more simply: Liisi agrees that first comes the chichen and then the egg. It is difficult to say exactly when the first Estonian items arrived at Stanford. However, already during the Soviet period Stanford Libraries had an ongoing exchange program with Tartu National University Library and the Estonian Academy of Sciences, covering mainly periodicals. The collection began to take more shape after Estonia regained independence, especially in late 1990s and early 2000s, and after that collecting has been going on relatively smoothly. One of the latest advancements was receiving a Baltic Duplicate Collection (mainly books and periodicals on history and literature, around 4000 items altogether) from the University of Washington in 2009. Although the collection contains a lot of items that are duplicates it also has brought Stanfrord many very valuable items, especially when it comes to Estonian literature published abroad. … can another times be a historian? It might seem odd at first that Liisi finds the two-volume overview of War of Independence to be the gem of the collection but it actually makes a lot of sense. Two years ago she defended her MA thesis “War Experience of Estonian World War I Soldiers: A Comparative Study of Wartime Letters and Postwar Memoirs”. She graduated with honours and it was not surprising that she decided to continue pursuing her PhD while continuing her research on one of the bloodiest eras of world history with Estonian soldiers being part of it. One might wonder why she picked such a topic. Although there are countless research studies and books written on the subject of World War I all over the world, Estonia is still lacking a thourough research concerning WWI era as most of the recent historians have spent all their energy on analyzing World War II and its outcomes. “This was a breaking period in Estonian history,” Liisi explains with a fervor typical to a person who’s describing something that she really cares about. She finds it very intersting to analyse how the letters of the Estonian soldiers who served as a minority nation in the Czarist Russian army influenced and formed the options of the whole nation on war, homeland and independence. About 100,000 Estonian men participated in WWI. In her thesis Liisi analyzed the war experience of these men by comparing soldiers’ wartime letters sent to a local newspaper Postimees to postwar memoirs collected by the Committee of History of the War of Independence in 1920s and 1930s. Approximately a thousand soldiers sent their letters to Postimees in 1914–1917 and not much is known about the authors. “Nevertheless, analyzing their writing style, grammar and handwriting, it can be said that the authors resembled the society as a whole, not only the more educated elite,” Liisi writes in her thesis. She adds that the letters and memoirs are affected by several factors like self-censorship, socio-political background, prevailing discourses, but also similar published material. A letter from the war front was a big thing, these were read aloud by whole families and even villages. This all formed and crystallized the sense of national identity of Estonian people. The national identity of Liisi herself has also only become stronger while living in the United States. 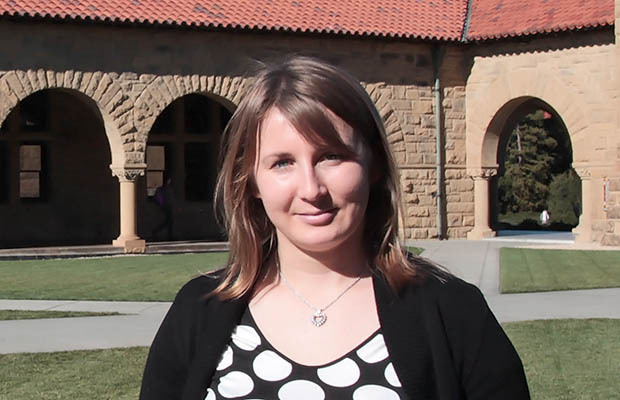 Although working at Stanford, she continues her PhD-studies in Tartu University. Completing her studies from such a distance is not an issue for her.